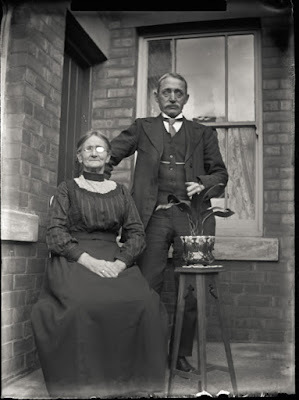 I enjoyed a spot of detective work recently after picking up a set of quarter plate glass negatives amongst some stuff I bought at a local auction. The negatives were in nice condition and some of them were sharp and well-exposed - not always the case with old glass plates in my limited experience. They were, however, no good to me and would just have taken up space in the darkroom or a drawer somewhere in the house so I decided to sell them*, figuring that they'd be worth more if I could actually identify the buildings or people they depicted. But where to start? The first thing was to scan the negs on my decrepit old Epson scanner to see what was on them. 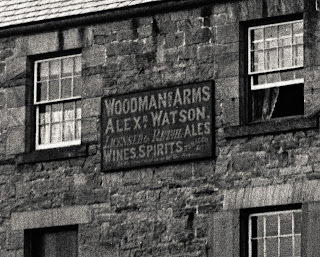 The best clue - the only one I think - to their place of origin was the title of a pub in one of the photographs, The Woodman's Arms. That's it at the top of the post and an enlarged section below. 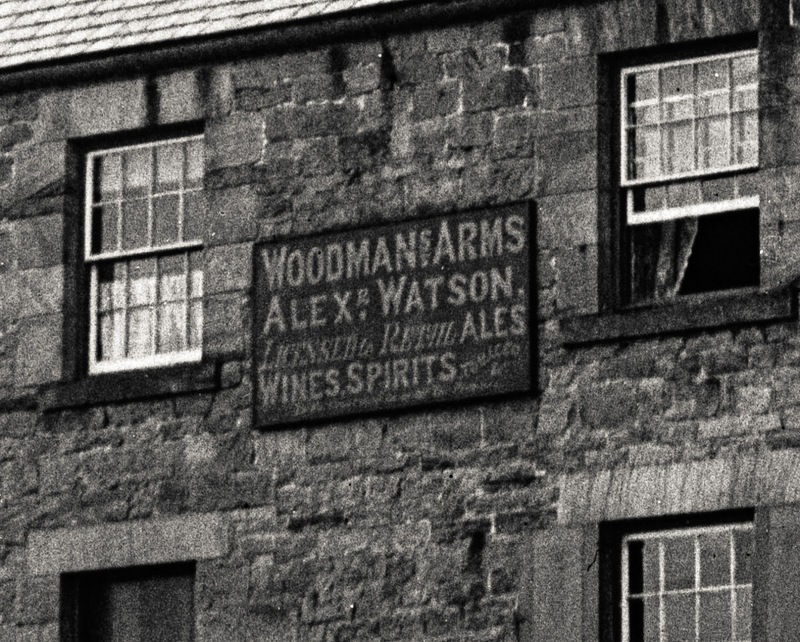 The Mrs. Watson to whom you refer was my grandmother, Emma Day Watson, who, with her husband, Alec Watson, bought the Woodman’s Arms from the Gibside estate in 1904. 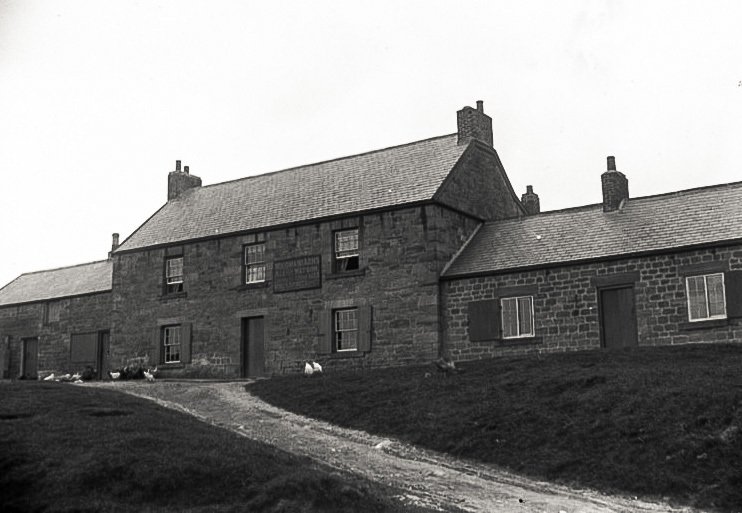 The pub burned down in 1927 and was rebuilt by her husband who was a carpenter/builder. 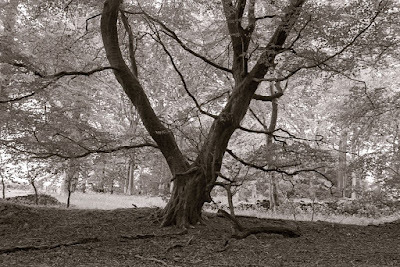 Gibside is an estate in the Derwent Valley, between Rowlands Gill, Tyne and Wear and Burnopfield, North East England. 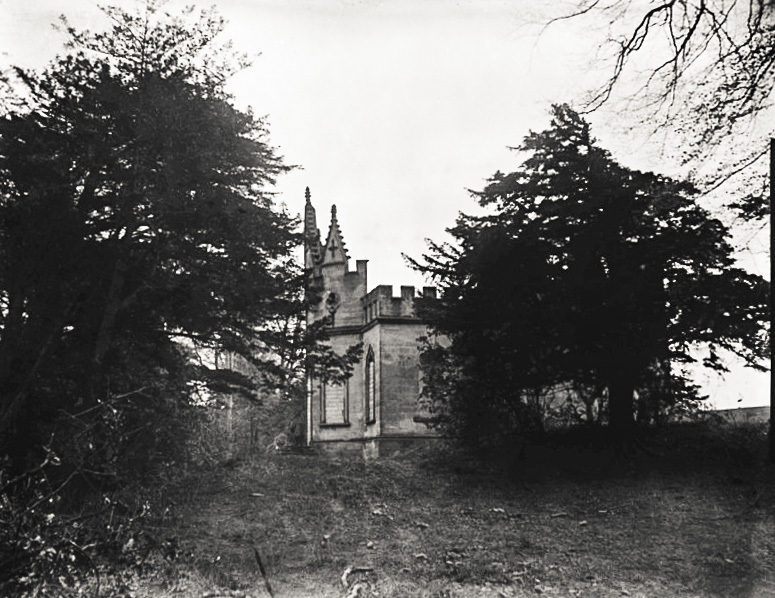 Gibside was previously owned by the Bowes-Lyon family. It is now a National Trust property. 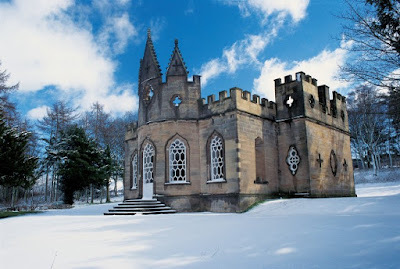 The main house on the estate is now a shell, although the property is most famous for its chapel. The stables, walled garden and Banqueting House are also intact. Oooh! The Bowes-Lyons had a famous family member - the Queen Mother. So it must have been a sizable estate. A further search revealed that George Bowes and his family created the buildings and landscaped gardens at Gibside with a fortune amassed through mining the coal seams on his land. He was one of the most important business tycoons in the north-east of England in the mid-18th century - and there was a lot of competition, believe me - and owned more than 40 collieries in the area. 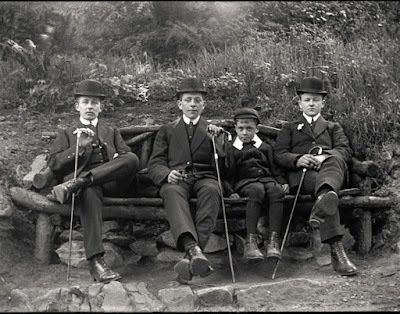 Yet more research revealed that George Bowes was the present Queen's great-great-great-great-great-grandfather. Were any of the other photographs related to the estate? It turned out some were. It wasn't too difficult spotting the similarities between the two pics below. one old and the other new. That's the estate's "banqueting hall". Not quite the same situation with the Woodsman's Arms, though. That's the pub below, as it is now, and it bears hardly any resemblance to the original. It's been added to and "developed" over the years - and then there was the fire as well. The original, I've read, is in there somewhere! The best plates were of the people associated with either the pub or the estate - it's difficult to know for sure. The one below is a cracker. Sadly, it's a fact that many of these vast fortunes were built on the misery of working people who were paid very little and had to endure pretty grim conditions, whether in mills or down mines. I've never been able to understand the greed of these tycoons. I'm all for enterprise and building fortunes but surely there must come a time when enough is enough. George Bowes could probably have doubled the wages of his workers, making a huge difference to their lives in the process and earning their goodwill, and still have been incredibly wealthy. And yet, it's uncomfortably true that practically everything in the country worth looking at from the "built environment" point of view is only there because of the excesses of these businessmen and others like them who truly were rich beyond the dreams of avarice. * My avaricious dreams were more modest but I was pleased that the plates sold to someone in the Gibside area and earned enough for about ten rolls of film. Excellent detective work Bruce! I think the photos of the folks are really rather excellent actually - who knows who they are though - sadly I feel the same thing'll happen to our amassed collections of negatives if they survive the skip . . .
"Hmmm, this is an interesting picture of fog (sic) . . . wonder why they took a picture of that . . ."
Only joking mate . .
Gibside is in my part of the world and has plenty of photographic potential. I've never been in the Woodmans Arms, but pass it regularly on the way to two other photo haunts - Beamish Museum and Tanfield Railway. 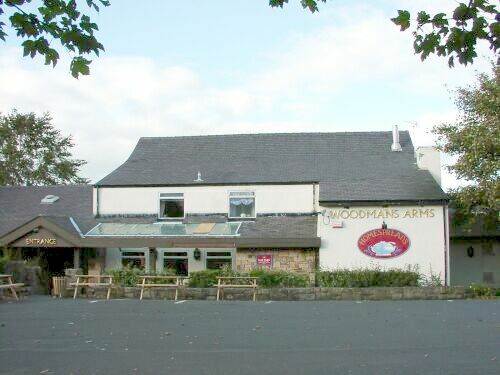 In fact the end point of Tanfield Railway - which is the worlds oldest working railway - is just across the road from the Woodmans Arms. I don't go with glass plates since the areas my archival collection deals with were mainly after that era. But I have a huge collection of found photos as well as negs and slides from the 1920's on up. I also have a huge collection form 1945 to 1950's dealing with the Beat Generation.